After wrapping up her Olympus Bound trilogy, looks like Jordanna Max Brodsky has turned her attention from Greek mythology to something a bit different in her upcoming historical epic fantasy! 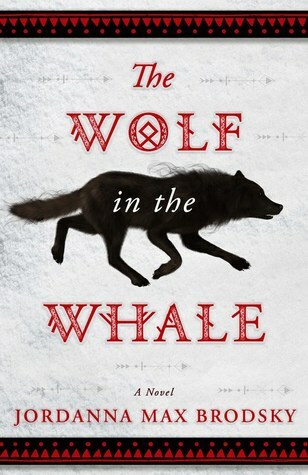 “A young Inuit shaman’s epic quest for survival in the frozen lands of North America in 1000 AD. Interesting! I didn’t read the third Olympus book but I might give this a shot, depending on early reviews. Looks intriguing! I didn’t read the third Olympus book either, the trilogy kind of lost its steam after book 2. But yes, I have high hopes for this one! That’s a new to me one! Hope you positively love it once you read it! Oooohhh, this sound awesome! I’d not heard of this author before. Is this part of a new series. I hope you enjoy this book, Mogsy! Wow, this sounds both really different yet similar to her last series, not sure why I got that vibe. I didn’t know she had a new book coming out, thanks for sharing! Yeah, different setting and era, but still very mystical and mythological! This sounds great – although I should finish her first series first. I’m so bad at repeatedly starting new series and not finishing them. I am bad at finishing series too, lol. But quite honestly, despite the strong start, I kind of lost interest in the Olympus Bound trilogy after book 2. Hmmm…you definitely have me curious. The synopsis seems to leave some things open so I guess I’ll just have to grab a copy and find out. LOVE the cover too! Wow. Very different from her Olympus Bound series. But this is something I would absolutely read. The only times I’ve seen the Inuit or indigenous Arctic peoples portrayed in fantasy literature weren’t very favorable, so I hope this will be more fair toward them. You’re definitely right about that! Crossing my fingers too!